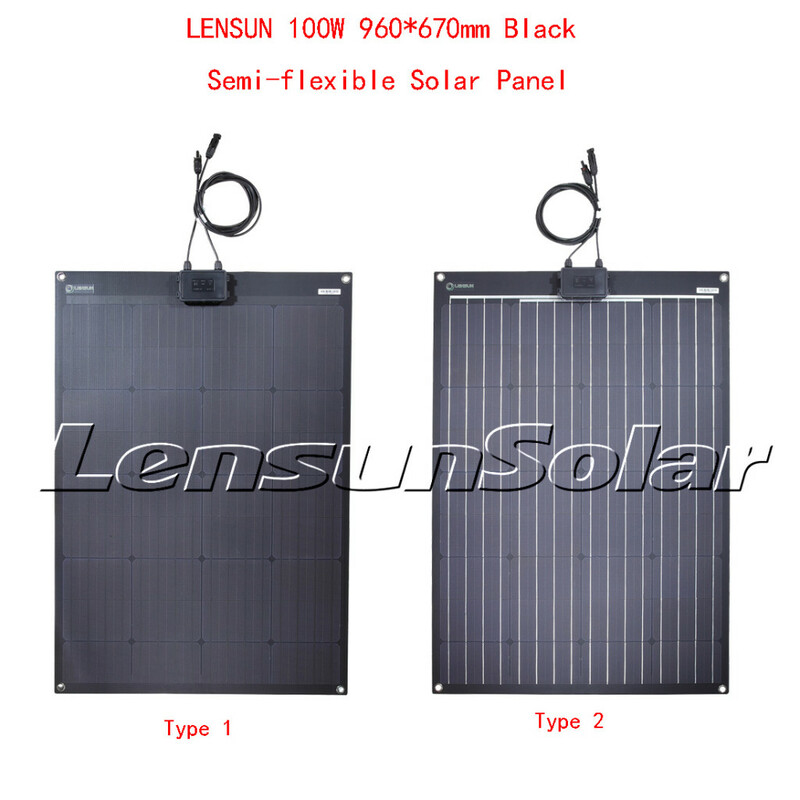 There are two types for Lensun 100W flexible solar panels, one is full black panel, another is black back sheet with white lines on the surface in the following pictures. 2. The first layer of the solar panel is made of ETFE. 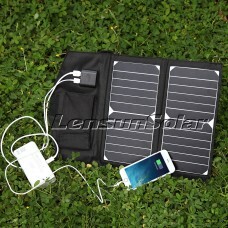 Imported from Japan, this material has a very high sunlight absorption to reflection ratio. 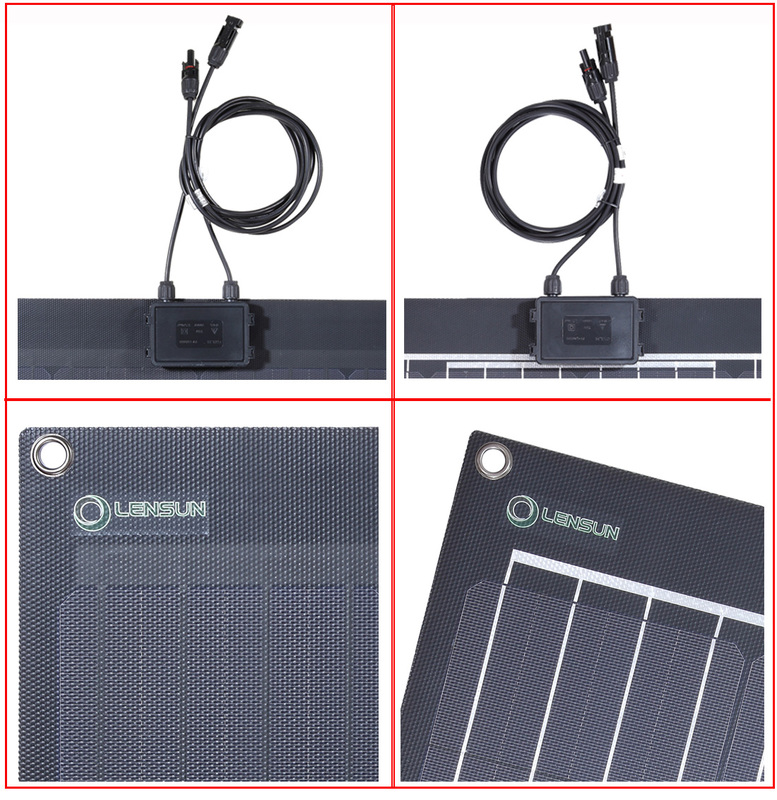 Other branded flexible solar panels often use PET, a cheaper alternative, which reflects significantly more sunlight than ETFE and thus reduces the solar panel’s energy output. ETFE is a much more expensive and higher quality material than the PET. 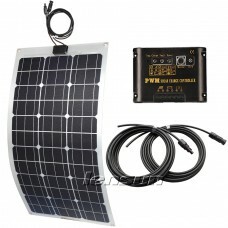 Almost all flexible solar panels on the market today now utilize cheap PET. Thicknes(mm) Includes a 0.025mm thin, UV resistant, layer of protection. Total thickness less than 0.1mm. 0.15mm thick. 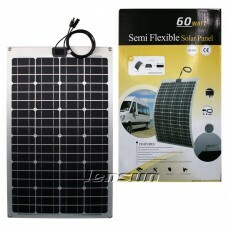 Solar cells break easily due to low hardness. 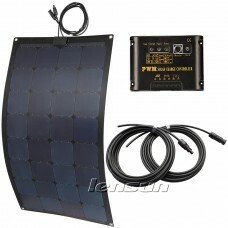 Note: Please do not reverse bending flexible solar panel when you receive it and install it. 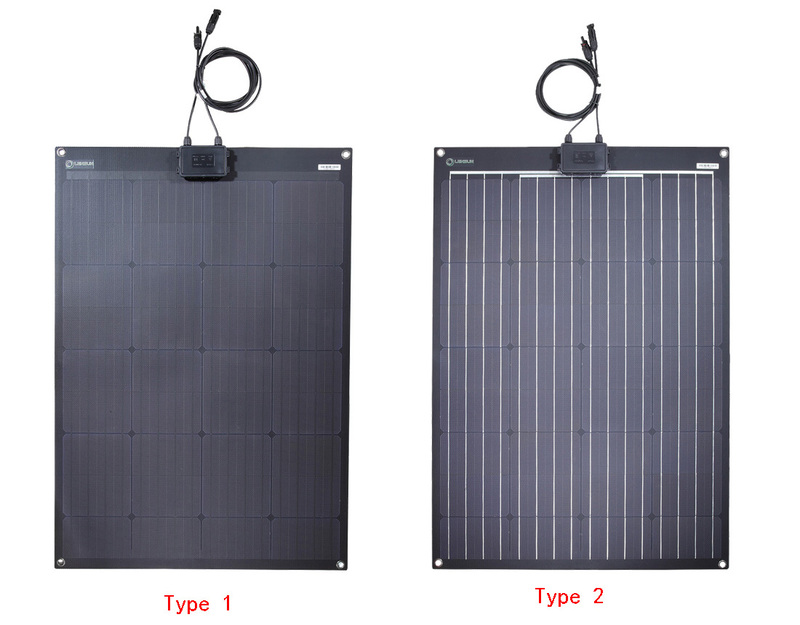 When the solar panel reverse bending, the solar cells may be damaged for stress concentration on the cells, and solar panel’s output current will reduce.